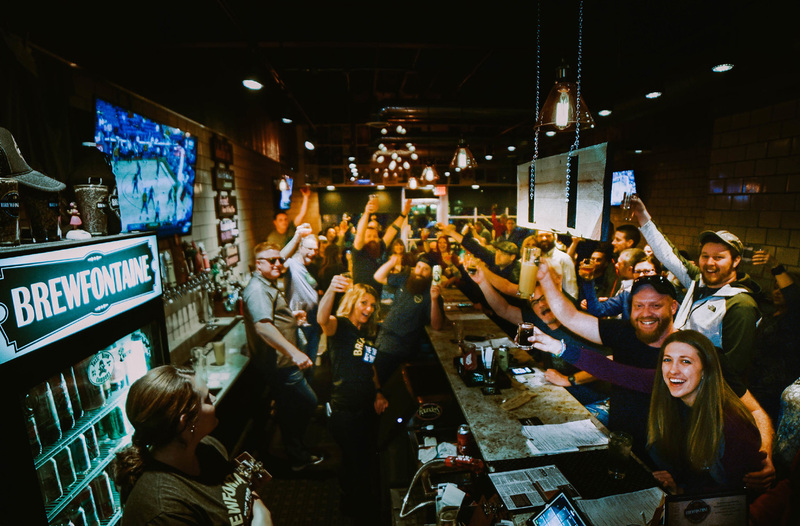 ﻿ Brewfontaine | Voted #1 Beer Bar in Ohio! Craft Beer. Sandwiches. Wine On Tap. Handcrafted Cocktails. 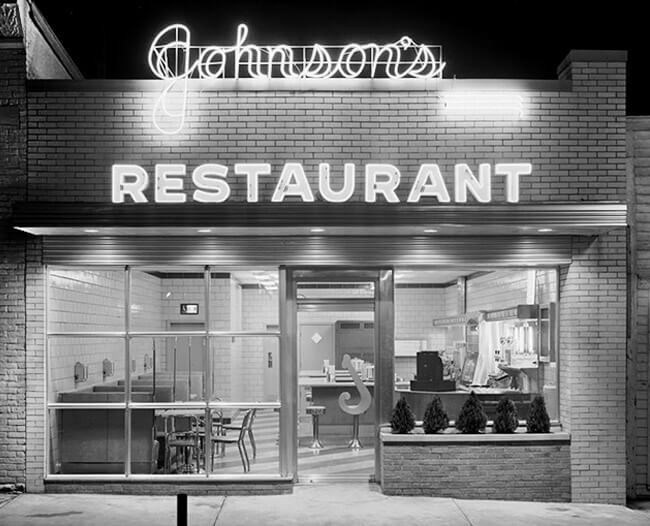 Our building was home to Johnson's Restaurant in the 1950's, a regular stop for many, known for their great fresh grilled sandwiches and cold beverages. Now, over 65 years later, something very special has come to life once again. 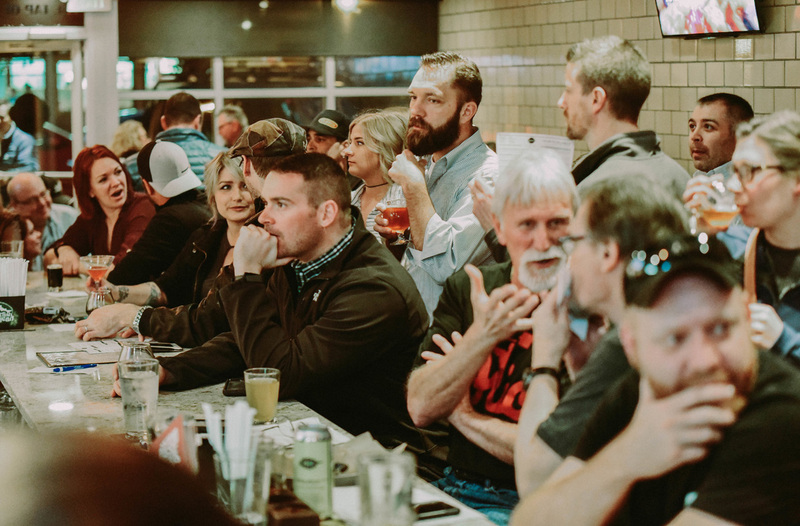 A Bellefontaine, Ohio restaurant where you can eat, drink, and be social. Welcome to Brewfontaine. 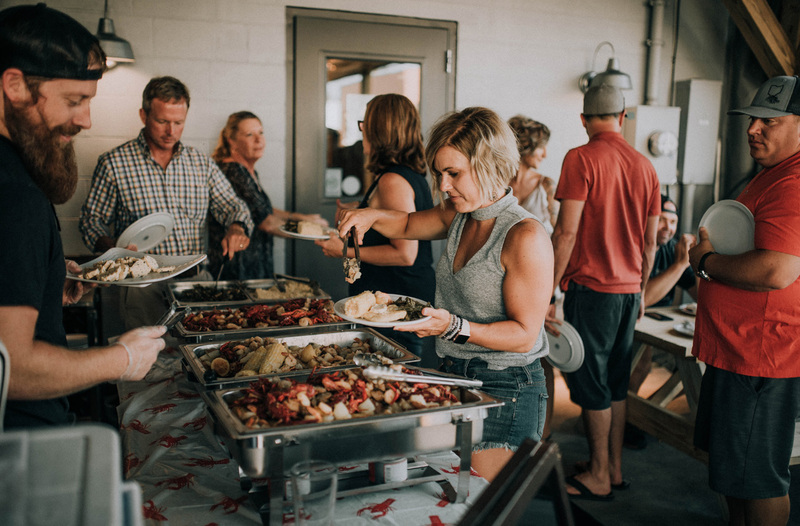 "Super tasty sandwiches and they travel all over our great state to bring the best in craft beer to sunny Bellefontaine, Ohio. Very friendly staff, and the restaurant is welcoming to all types of patrons ranging from the soccer mom to the craft-beer hipster. 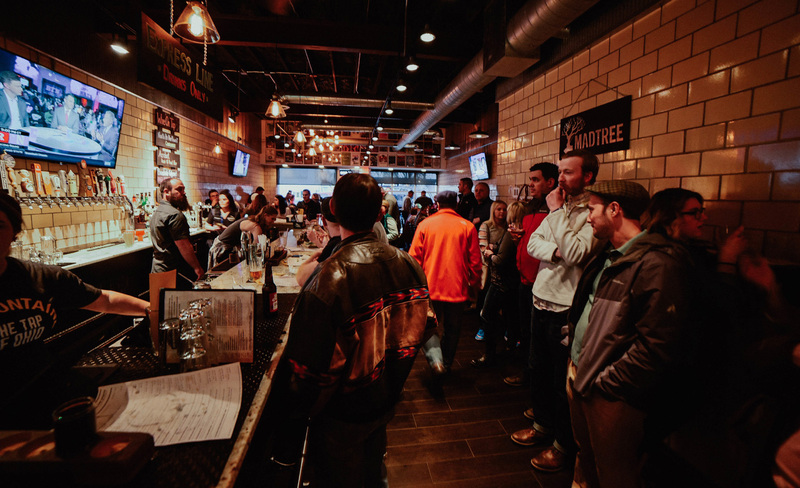 Brewfontaine provides the best of both worlds." "This is the cutest little restaurant. We were driving through on our way to vacation, and my husband and I both said this has been the highlight of our 14 hour drive. 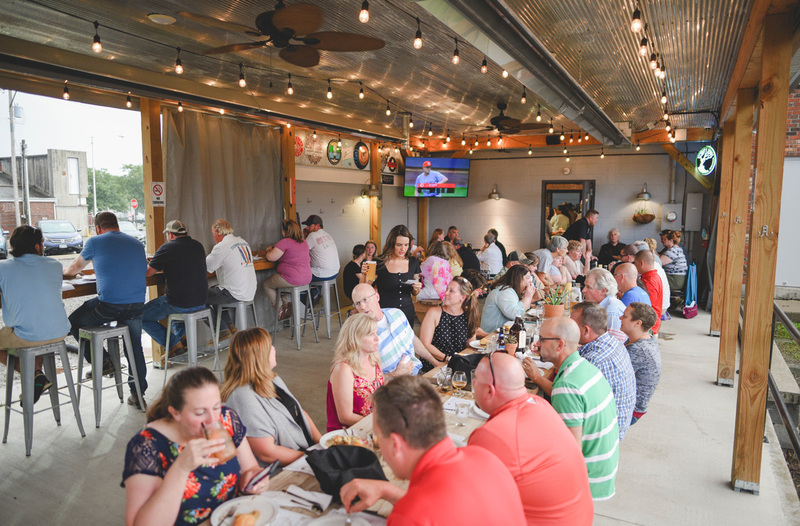 Kid-friendly, cute outdoor seating area with picnic tables, awesome beer selection, delicious sandwiches." "Brewfontaine has my highest possible recommendation! 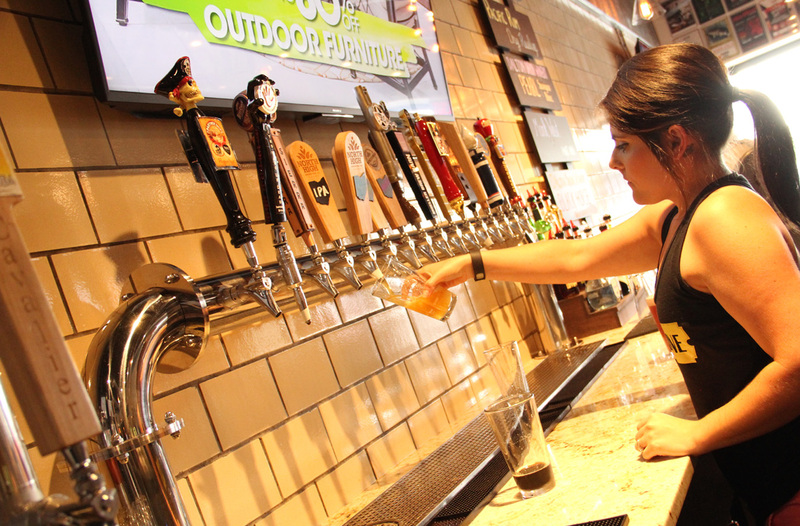 It provides a big-city craft brewery feel (a-la Gordon Biersch in Columbus) with the perfect small-town friendly touch. 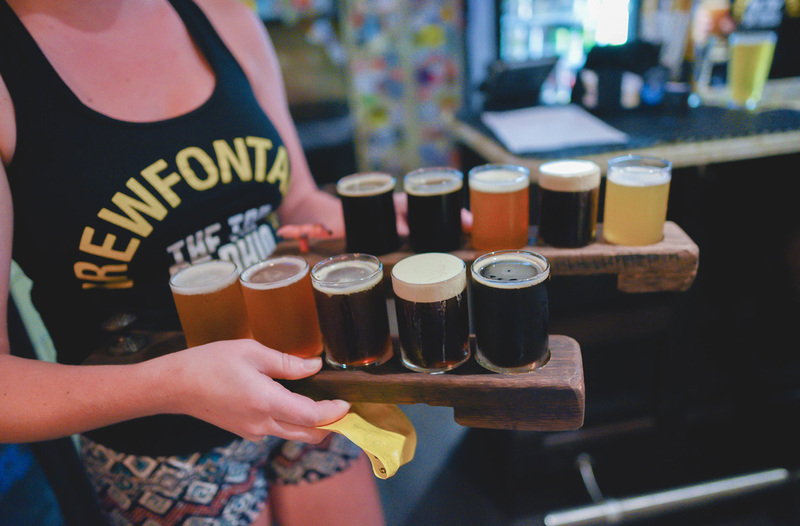 While Brewfontaine has an amazing selection of craft beers that is second to none, their food is equally impressive. " "A true hidden diamond in a small town Ohio community with a trendy big City feel. This place is good for all; couples, dates, biz people there after work for a quick drink, families with kids, friends meeting other friends to socialize, etc. I would go there if I were you!"